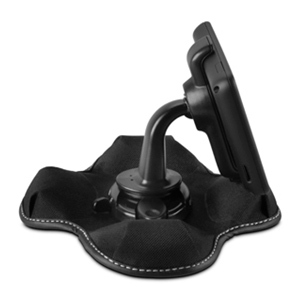 dēzl 560LMT guides with a 5.0" display that is easy to see across your cab. Loud speakers deliver clearly spoken, turn-by-turn directions. 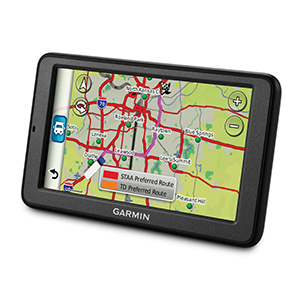 dēzl 560LMT is preloaded with detailed maps for the U.S. and Canada that also include truck-related restrictions, such as bridge heights, and related information for most major roads and highways. 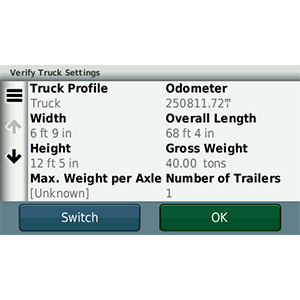 Just enter your vehicle profile information (customizable by height, weight, length, width and hazardous materials) and find truck-preferred routes suitable for your rig and load¹. You can also enter multiple stops for more efficient routing. The onboard Trip Planner lets you create multiple-stop routes and plan and save future trips. 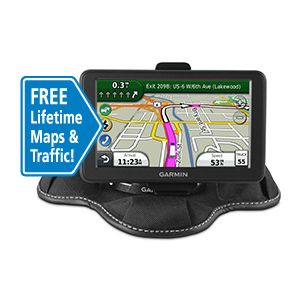 dēzl 560LMT features free maps, including updates, for the useful life of your device, so routes are sure to reflect the most up-to-date maps, points of interest and other information. With the included combination power cable/traffic receiver, your dēzl 560LMT offers free traffic information for the useful life of your device. 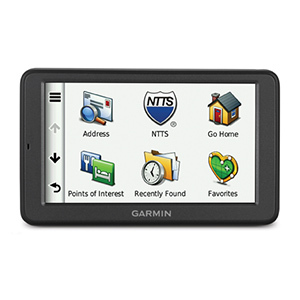 dēzl 560LMT can help you avoid traffic jams and find the detours you need to keep moving. Find points of interest that matter to drivers: from truck stops and weigh stations to lodging and fuel. Truck stop information lists the services offered, such as Wi-Fi, showers and scales. dēzl 560LMT has enhanced exit services to let you know what services are available at upcoming exits along your route. 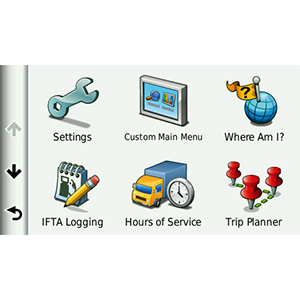 You record fuel usage; dēzl 560LMT automatically records state mileage for IFTA fuel logging. 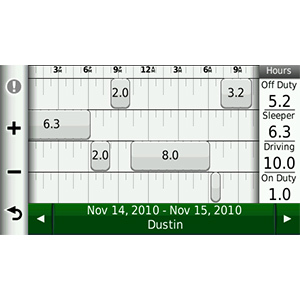 Log your Hours of Service and status; dēzl 560LMT tracks your hours and automatically warns of potential HOS violations. Later, download everything to your computer for convenient, accurate reporting. 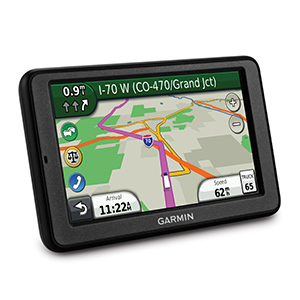 dēzl 560LMT eases the stress of merging on or off the roadway with photoReal junction view. photoReal junction view realistically displays interchanges along your route, including road signs and the surrounding landscape. 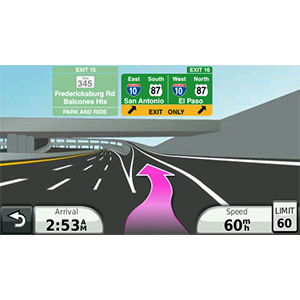 Brightly colored arrows indicate your next turn or exit. 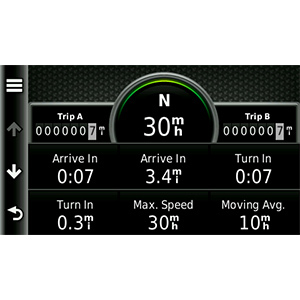 And dēzl 560LMT displays trucking speed limits if they differ from the posted automotive speed limits. For added security, a video input on dēzl 560LMT allows for backup camera compatibility (camera not included). It also integrates Bluetooth® wireless technology with a built-in microphone and speaker for hands-free calling. ¹Not available in all areas. Entering your truck’s profile characteristics does not guarantee your truck’s characteristics will be accounted for in all route suggestions. Always defer to all posted road signs and road conditions.